If you’re in the market for a storage shed for your home or business property, you need a building that’s well designed and built to last. At Yoder’s Dutch Barns, that’s our bread and butter. There’s nothing more frustrating than buying a building that’s designed to protect expensive equipment, supplies, and other assets from the elements, only to find out that they’ve been damaged due to the building’s flawed design, low-quality materials, or poor construction methods. When you buy a storage shed, you’re making an investment, and you should expect it to last for many years. That’s exactly what we set out to do with every storage shed we sell, and we stand behind our products with a satisfaction guarantee. In addition to our satisfaction guarantee, our storage sheds are also backed by 12-month warranties and are eligible for our Rent to Own program, making it easy to get the perfect storage shed for your needs. Utility sheds—Ideal for small to medium-sized storage needs, these sheds have plenty of room to fit things like household tools, lawn and garden supplies, mowers, and even ATVs and other outdoor toys. Choose from a 25-year shingle roof or a 40-year metal roof for the ultimate peace of mind. 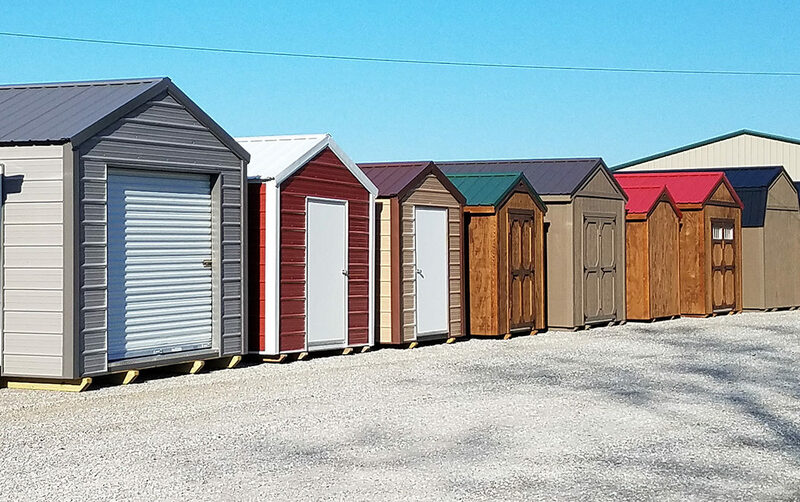 Garden sheds—Similar in design and functionality to our utility sheds, our selection of garden sheds also comes with a 12-month warranty and sizing options ranging from 8’x8’ up to 14’x40’. In addition to offering the option of windows, garden sheds also feature either single or double doors on the sides of the buildings rather than their fronts or backs. Lofted barn storage sheds—As you might expect, these sheds come with a 12-month warranty and multiple sizing options, including 8’x8’ up to 12’x36’. Unlike our utility sheds and our garden sheds, these buildings feature large lofts for added storage space. Because the extra storage space is vertical, they’re perfect for properties where land is at a premium but extra storage space is a must-have. No matter what type of shed you need, you can count on us to provide you with the perfect portable building for your home or business. Contact us today to place an order or visit our showroom in Cumberland Furnace, Tennessee.